One of the most popular vehicles of internet marketing is Affiliate marketing. A large population of businessmen is using Affiliate marketing on the web for increasing visitors to their websites. 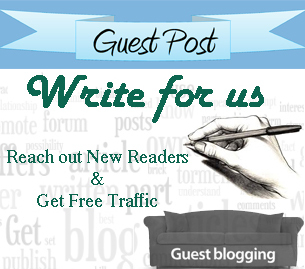 Affiliates are such websites that promote other sites and help in bringing traffic to other sites. For promoting the website or bringing the visitors, the Affiliate websites get rewarded by cash or gift. The technique of Affiliate marketing overlaps the other prevailing marketing techniques as it also uses other different and regular advertising methods such as organic search engine optimization. In the organic search engine optimization, Affiliate website use to serve as a mode that can be used for posting the main site link (main site is for which Affiliate site is working or merchant’s website). The Affiliate site will be rewarded if visitor of Affiliate site visits the main site. The techniques of Affiliate marketing are mostly used on eCommerce websites. The professional internet marketing companies use to provide robust Affiliate marketing services and comprehensive Affiliate Marketing solutions. The professional Affiliate marketing companies use to make perfect Affiliate marketing programs for their clients according to their business nature. Such companies do all business promotional activities through professional Affiliate marketing program. The main Affiliate marketing services they provide are analysis of business nature and product & services for making the appropriate Affiliate marketing strategy, identification of suitable network for deploying their strategy for client’s business as well as in their own network, identification of suitable publisher according to client’s business and its products & services and services like tracking the performance of advertising and reporting. Moreover, they provide the services of regular monitoring of Affiliate networks for preventing any fraud. 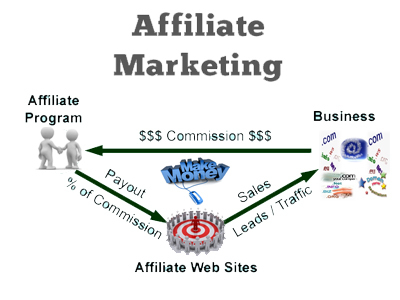 Actually the concept of Affiliate marketing is divided in three steps such as first customer visits Affiliate’s website, then Affiliate directs the customer to merchant’s website for sale of products & services and finally the merchant use to pay the commission to Affiliate for providing the customer. These Affiliates get paid through few ways such as Cost per Sale (CPA) – Affiliates get paid (in percentage) when the merchant closes a deal, Cost per Lead (CPL) – Affiliates gets paid per Lead Generation, Cost per Click (CPC) – The advertiser needs to pay the publisher on the per click basis and CPM (Cost per thousand Impressions) – Advertiser pays for every 1000 impression to the publisher and needs to buy a CPM inventory. Doing the right Affiliate marketing practices is very vital for lots of big paychecks. Most of the people don’t know how to do the right Affiliate marketing practices. Affiliate marketing is not very hard to do, with the right knowledge about how to make connections with target audience will surely end up with success.